During the week leading up to Earth Day, Marcy and I are excited to bring you ideas to spread the love of our planet to those in your home and classroom. Children are natural dirt worshipers, explorers, and conservationist. This time of year reminds us that we could all use a little more time outside enjoying all that Mother Nature has to offer. It's also a great time of year to set up Earth friendly habits that can last a lifetime. * Our Sun is special because it is the closest star to us. It's approximately 93 million miles away (and that's close!). * It's a medium sized star. You can point out to elementary aged children that it appears bigger than other stars because of how close it is to us. * The sun is our planet's main source of energy, and without it plants wouldn't grow and animals (including us) wouldn't be able to call Earth home. * It's considered a renewable resource because we are not in danger of running out of solar energy anytime soon (unless you believe Sci-Fi movies). * Not only do animals need the sun, but so do plants. Plants need the sun for a process called photosynthesis. Without the sun, plants couldn't make their own food. You can use this as a visual for children to see the relationship between the sun and plants. Take a field trip to your yard, a park, or the playground. Point out all the types of plants that you see. Children tend to forget that a tall tree is a plant, as well as the grass between their toes. 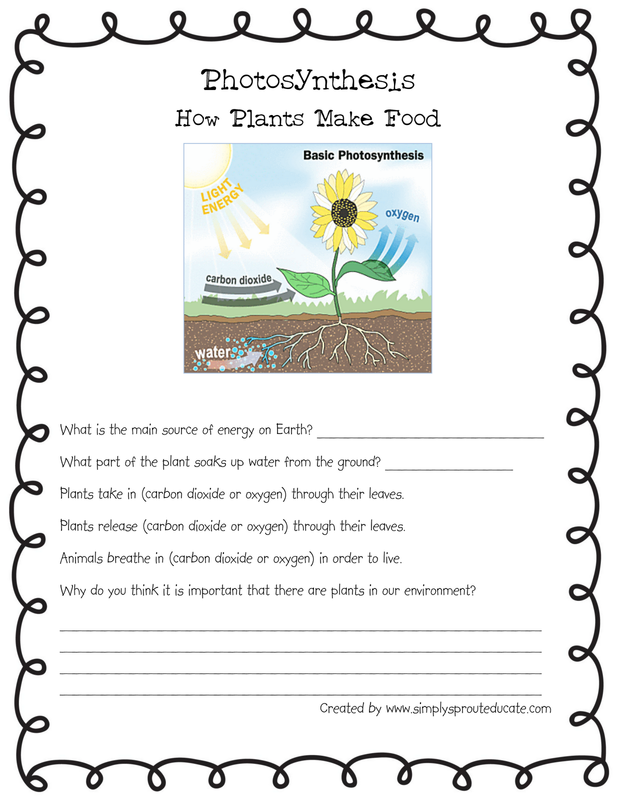 Talk to children about different types of food that grow as plants. Your next stop might be your kitchen, the produce section of the grocery store, a farmers' market, or a local farm. If you have the opportunity to take your children strawberry or blueberry picking, this is an excellent way to show them how these types of plants grow using the sun as an energy source. With the fruits of your labor make a yummy Fresh and Sweet Blueberry Wrapup. Have your children help you measure out the ingredients. Talk about how the they're going to get energy from a eating a fruit that got energy from the sun so it could grow. Cream together cream cheese, sugar and vanilla in a small bowl and set aside. Wash blueberries and gently stir into cream cheese mixture. Open crescent rolls and align 7 of them in a pinwheel fashion, equally on a baking sheet. Use the 8th one to fill in any holes in the middle. Spoon cream cheese and blueberries onto the middle of the crescent pinwheel that is formed. Carefully pull points of crescent rolls overlapping them over the middle in a criss cross fashion. Bake in the oven on 350 degrees for 20 minutes. While you are waiting for your fruit creation in the oven, have children sort play food items into fruits and veggies, or plants and non plants. Older children could find pictures of fruits and veggies in a grocery store flyer and make a collage. Just remind them that they are looking for things that grow as plants. 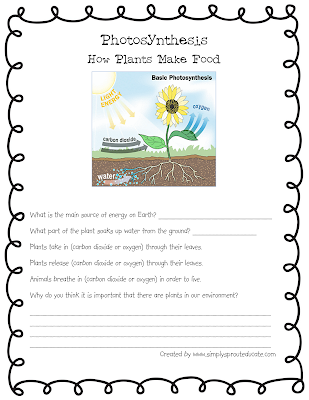 Enjoy your tasty treat outside in the sun, and ask your children to remind you of the energy source that made it possible for all plants to grow...the sun!